In life science industry, live cells or tissues are usually frozen with cryoprotectants and transported with dry ice if they need to be moved from one place to another for a relatively long time. There are several problems during the traditional procedure. When freezing cells or thawing cells after freezing there are always loss of cells, no mention those hours that spent on freezing and thawing cells and selected freezing medium. In some cases, cells are transported live but the stability of transportation environment such as temperature retention and vibration control is poor. SANPLATEC’s iP-TEC Live Transport Device has solved all of these problems and makes live transport possible! iP-TEC® Live Transport Device enables the ready-to-use transport of iPS cells and other cells without freezing them. IP-TEC® protects various cells and living tissues from outdoor temperature and vibration during transport, keeping cells happy. 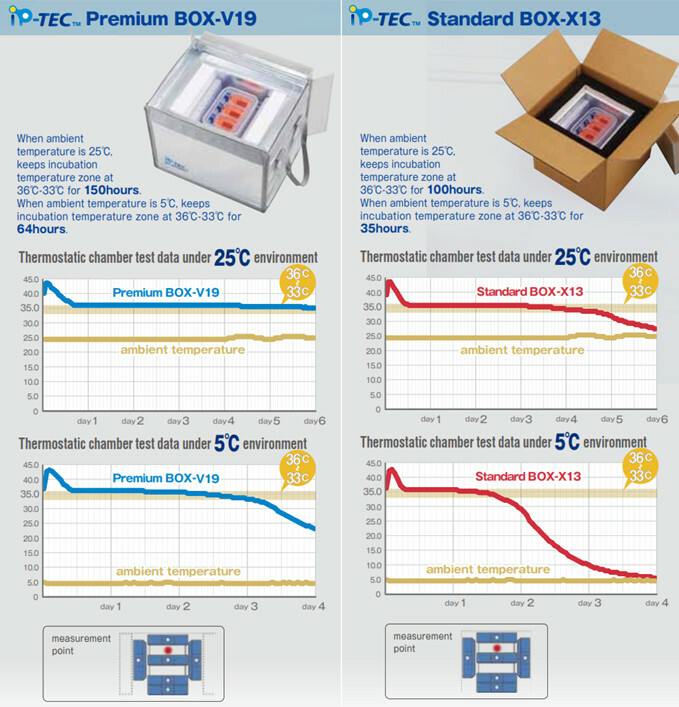 A comprehensive transport system based on the distance and purpose can be provided by combining customized devices and high performance original temperature-controlled transport boxes. Interested or want to order, please send us your inquiry.